1. my husband surprised me with this little map locket as a belated valentine's day present. i'm pretty excited about putting a teeny tiny photo of him in it! 2. i'm really happy that i got over my hang ups about mixing black and brown. 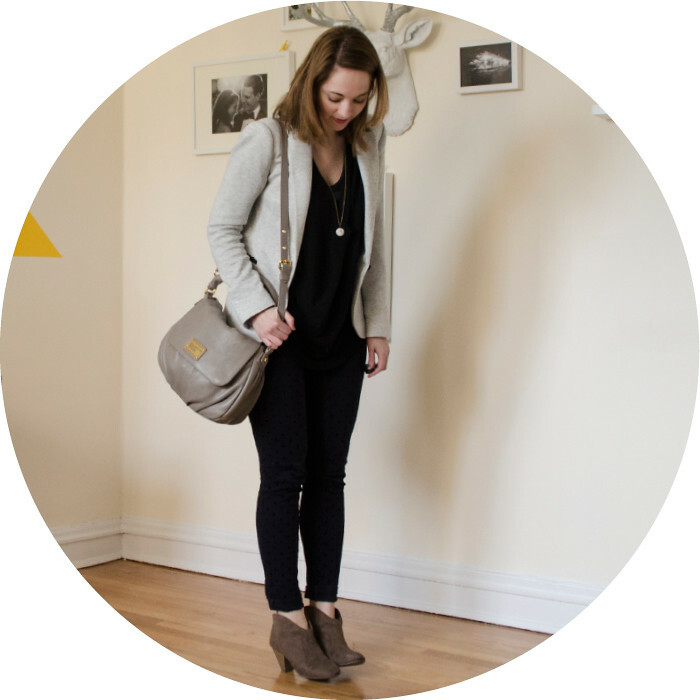 my new brownish-grayish bag definitely encourages some serious neutrals mixing. 3. this jacket is basically a tailored towel. it has some eighties-style shoulder pads to keep it from looking sloppy which i definitely appreciate.